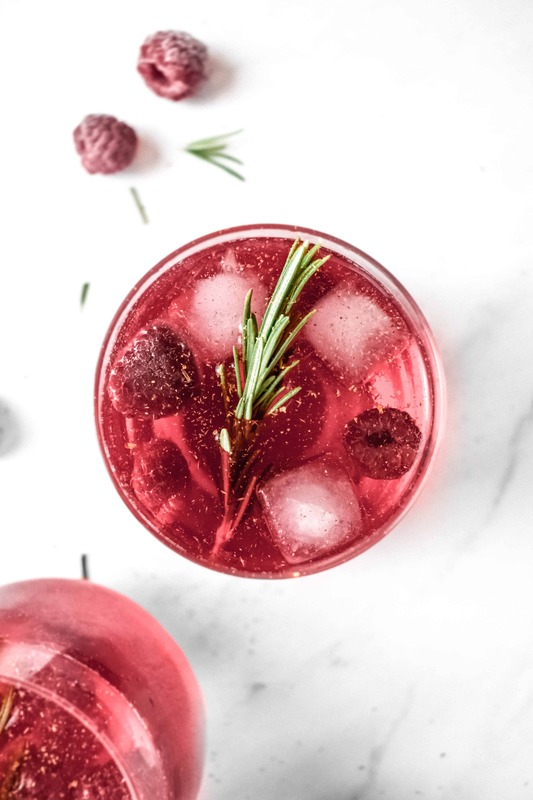 Make this festive cranberry mocktail to welcome 2019 in style! It’s bursting with flavour, deliciously sparkling and ready to win over any mocktail haters out there! January is the time I’m bursting with overexcitement for the year ahead. I’m making endless lists and signing up for challenges like the no-spend month. Not only that, I’m also jumping around the flat unable to contain my sudden burst of energy (everyone in my household has been saying I’ve literally been jumping around these past few days!) If you’re like me, you might have committed to a similar challenge yourself, which I would love to hear more about in the comments. This is why I’ve decided to bring you a larger than usual batch of inspiration this month. Drinks are some of my favourite recipes to develop. I’ve recently fallen in love with this rose hot chocolate whilst I’ve also been absolutely obsessed with spiced fruit tea. This delicious fruit mocktail was created with Dry January in mind – UK’s one-month alcohol-free challenge. There’s no doubt that Dry January can be a tough challenge, but the benefits can be enormous. They range from better sleep, improved overall wellbeing and substantial amount of saved money. 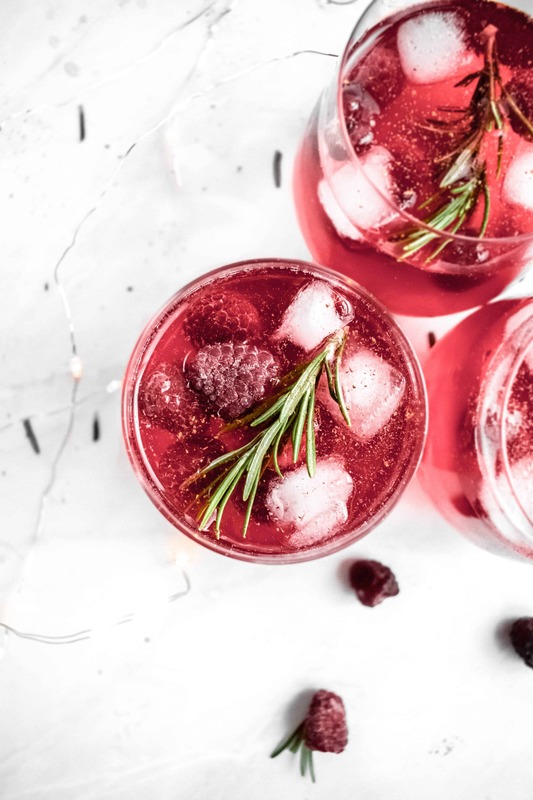 Apart from these large-scale benefits, Dry January also gives us the perfect opportunity to discover the world of non-alcoholic drinks such as this festive cranberry mocktail. 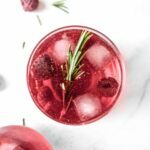 Moreover, it’s one of those recipes that you can nail instantly and then relax knowing you will forever be able to serve your alcohol-shy guest with delicious festive mocktails! Don’t forget to top off this fruity cranberry mocktail with just a pinch of cinnamon. I’ve used freshly ground cinnamon to create a glowing, nearly glitter-like impression. 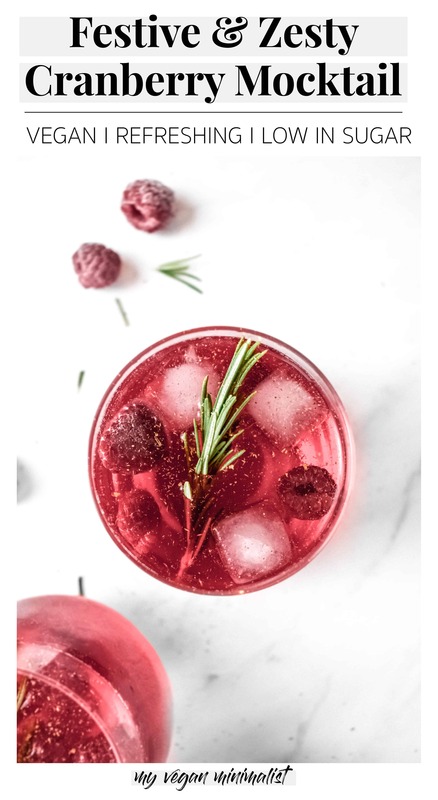 Add Indian tonic water to your cranberry juice and ice cubes. Add a squeeze of lemon and a handful of frozen raspberries. Let soak for a few minutes, stirring occasionally. Decorate with a small bunch of thyme or rosemary and freshly ground cinnamon. Last but not least, thank you so much for continuing to support My Vegan Minimalist in 2019! I hope your year is filled to the brim with joy, gratitude and self-care rituals. If you’re trying out Veganuary or just want to discover simple vegan recipes make sure to follow me on Pinterest, Instagram and Facebook.